With new technology that enables us to work anywhere, and collaboration within the office becoming a primary activity, we are witness to a range of new design patterns in the workplace. The danger is an over emphasis on the "we" space, at the expense of the "me" space. 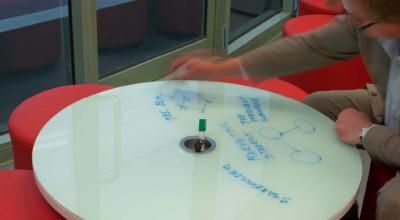 Interactive and collaborative spaces must be balanced with spaces for reflection and concentration. 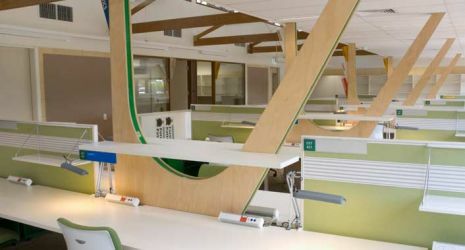 Resource Architecture shares 5 ideas to foster innovation within your workplace. We care a lot about designing workplaces to make functionality explicit. This project for Department of Sustainability & Environment required us to really push functionality to the limits by incorporating as much of the organisational processes as possible into the design.